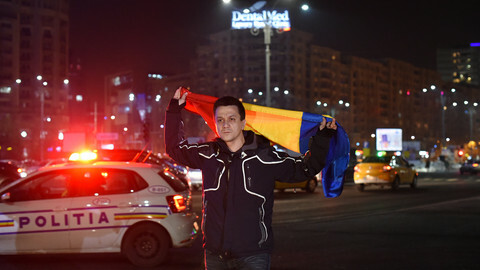 A sea of light flooded Bucharest's Victory square on Sunday (5 February) evening as people flashed their mobiles on the building in front of them: the government headquarters. 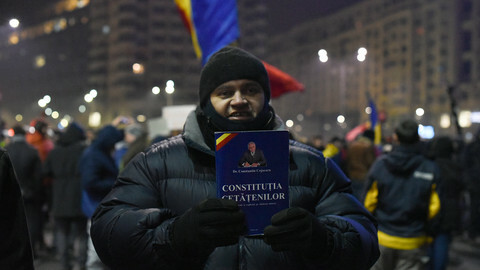 Earlier that day, the social democrat government had repealed the emergency decree that would have weakened the country's anti-corruption laws, but people still gathered for the largest anti-government protest in Romania's post-communist history. An estimated 250,000 marched in the capital, another 350,000 took to the streets elsewhere. Romania's population is 20 million. Robert, a 36-year old CEO, had taken part in every protest against the decree except on Thursday, when his son David celebrated his fourth birthday. His company, a foreign multinational, supported the protest by offering tea, coffee, and internet connection for the people chanting outside in the cold. “I don’t want corrupt politicians anymore, I want decent people that work their way up in life, not steal from the others”, said Robert. He had been spraying anti-government slogans on pieces of carton. “I want our kids to be respected, not stolen from during the night," he added. Romania's prime minister Sorin Grindeanu's cabinet assumed office on 4 January with 45 percent of the vote from the parliamentary elections. They had run on a platform of higher salaries and pensions. But instead of bringing campaign promises to life, the government's first move was to try and pass two controversial decrees that would rollback Romania's recent anti-corruption efforts. One set out to commute prison sentences; the other decriminalised graft as long as the fraud was valued under €44,000. Both decrees were seen as tailor-made to protect social democratic leaders, including party chief Liviu Dragnea, who is serving a suspended prison sentence for trying to rig an election in 2012; he is also facing an upcoming trial for defrauding €24,000. The decrees were blocked by the president, Klaus Iohannis. But one of the two “elephants in the room”, as Iohannis called the bills, came back last Tuesday evening, when the cabinet passed an emergency ordinance to decriminalise corruption, in a surprise move. Mass protests erupted the same night. People have since stayed on the street despite a government announcement on Saturday that it would hold an emergency meeting the next day to rescind the law. Ioana, a 21-year old storekeeper in a shopping mall, said on Saturday evening she felt double-crossed by the government. “I don’t trust these people anymore!”, she said. "This government is a lie. 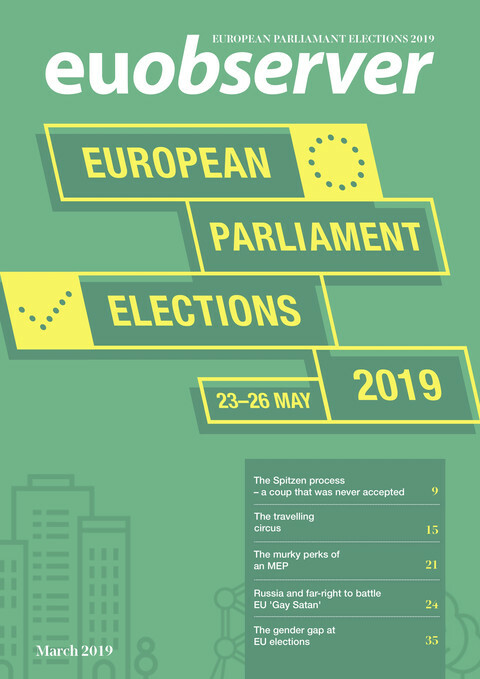 The whole party won the elections on a huge process of throwing bribes to the people," Mihai, a 29 year old student and IT specialist from Cluj, said on Sunday. "I travelled by train from Cluj [a nine hour train ride] because they granted free train tickets to students. I used their weapon to come here and shout against them, because I’m sick of this kind of leadership”, Mihai explained. Standing there with his sister, he said he would stay in Bucharest, despite his exams. Earlier in the weekend, a 3-year old child was seen dragging a toy rat with "Liviu" written on it. 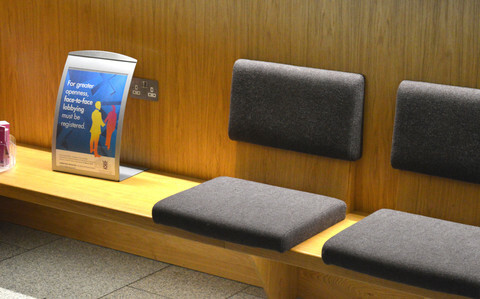 The government, on the other hand, shows no intention of stepping down. The prime minister - pictured as a convicted felon wearing jail clothes on many cartoons across the square - said he would go ahead with the parliamentary debate on the country’s budget for the next two days. Grindeanu said he would demand explanations from Florin Iordache, the justice minister, for the poor communication of the bill. He may be forced to resign, but many fear that would alleviate the blame of other government members. Some 2,500 people also staged a pro-government, anti-president rally in front of Iohannis' office, a few kilometres away from the Victory square. "I won't have to tell him his father was a coward," business minister Florin Jianu said of his young son, as tens of thousands marched against a law that would protect corrupt officials. The cabinet passes an emergency decree to decriminalise some abuses of power, which is likely to allow leading politicians to avoid prosecution. 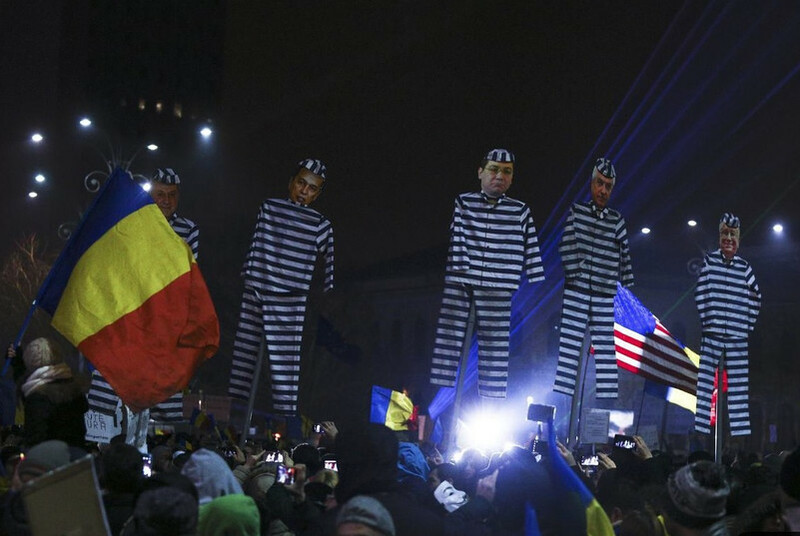 Romania has made more progress than Bulgaria since joining the EU 10 years ago, but "irreversibility" of Romanian reforms is at stake in a shady prisoner amnesty. 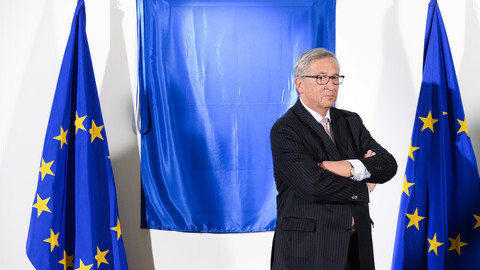 Transparency campaigners are livid after the EU commission scuppered plans to publish an EU anti-corruption report amid unfolding corruption scandals in Romania and France. Romanian lawmakers back a plan for a vote on how to fight corruption, after two weeks of protests. 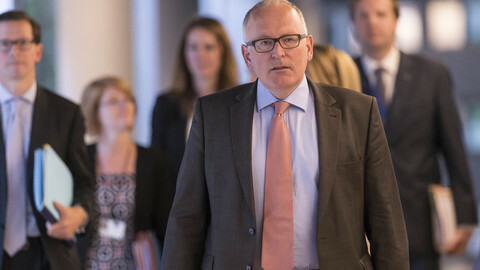 The European Commission, unlike almost every member state, has no plan, strategy or other instrument to guide its anti-corruption work.